Mobile schwannomas have been rarely reported in the lumbar and thoracic spine. These entities are usually intradural extramedullary involving less than 3 vertebrae. Published in the journal Medicine, the authors present a rare case of thoracic schwannoma moving over 4 vertebral levels from the primary site combined with intraosseous schwannomas. A 64-year-old woman presented with back pain for several months. Preoperative computed tomography (CT) and magnetic resonance imaging (MRI) showed 2 intraosseous tumors at the T7 and T8 levels and an intradural extramedullary tumor at the T5-6 levels. The patient underwent a surgical resection of the intraosseous tumors at the T7 and T8 levels, and the tumor at the T5-6 levels was not found. Postoperative MRI revealed that the intradural extramedullary tumor had moved to the T3-4 levels. Subsequently, the patient developed gait disturbance and numbness on bilateral lower limbs. During the second operation, the tumour was found at the T1-2 levels. Eventually, the tumor was completely removed. 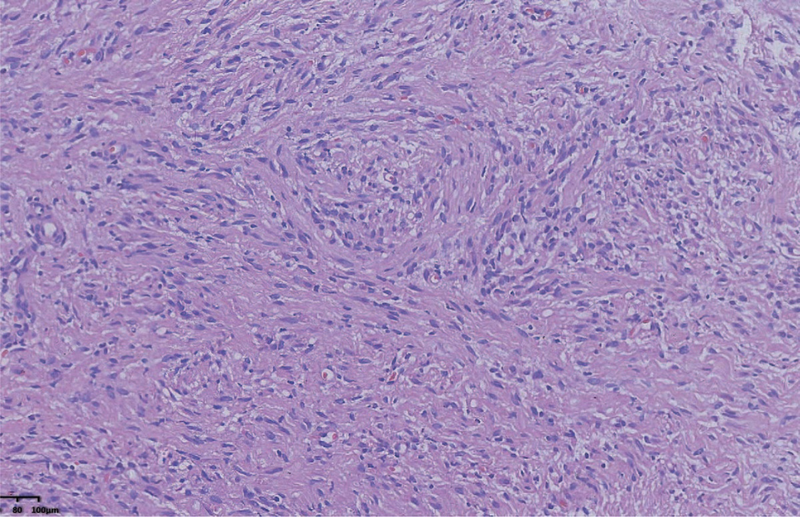 Histopathological examination revealed schwannomas. After a 3-month follow-up, the symptoms were significantly relieved, and there was no clinical or radiological recurrence. - The clinicians should be aware of the coincidence of intraosseous schwannomas and mobile schwannoma. - Careful preoperative MRIs are essential for early diagnosis of mobile tumors. - Intraoperative localization of the mobile tumor is imperative to prevent unnecessary laminotomy.